The 580 has the juiciest sound of all Kinman pickups, it's the Master Grand Piano of the pickup world. 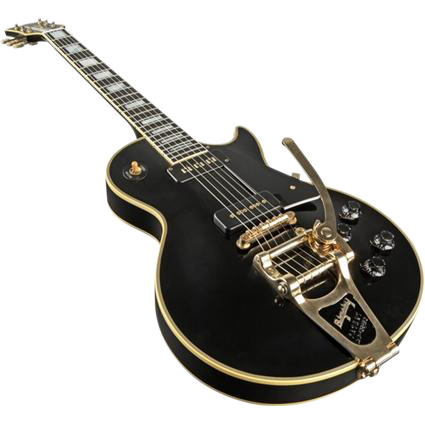 We call it the 580 Alnico Staple since 480 is the name of the original Gibson staple model in the 1955 Black Beauty LP so we went one better to 580 because it has Zero-Hum and extreme 3D sonic dimensions. Alnico because it has Alnico magnets in the core of the coil like the original Gibson 480 -and- Staple since that's the common name for the Gibson 480. The sound is Extreme Strat, like no Strat could ever sound like; it has that typical Fendery clang and has very prominent piano mid-tones in the low wound strings, P90-like whack attack, a huge warm lush and sensual bottom end and brilliant highs that have a nice harmonic bloom. This pickup is modeled on our BrightMaster (Jazzmaster) with lots of sharp twang and piano tones. The overall sound is a true cross of Fender with beyond excellent note separation -and- P-90 with it's airy extreme dynamic range, touch sensitivity and it's lush, sensual feel that Fender pickups just can not produce. It works very well in the neck position with the Clean Bridge in the bridge position, quite well balanced loudness wise and both-on-together gives a surprising huge 'cluck' with extreme dynamic range. It is also highly resistant to mushing and blurring on the low wound strings when played hard, especially in chord formation. We are pretty sure it'll put a big grin on your face. Suitable for Soap-bar covers (included) and for use under existing Dog-Ear covers. Recommended for neck position of Les Pauls* and any guitar with P-90's when a bright, clean tidy sound is required -or- the bridge position if desired for country Twang. * Les Paul is a Trade Mark of Gibson, Inc. Kinman is not associated with Gibson,Inc.